MG has revealed a new compact SUV and with the new MG XS, we have a chance to play the familiar game of “Spot The Influence”. Everyone gets a default point for naming the Mazda CX-5/CX-3, so the challenge is to find cues from other SUVs in this mishmash of a design. 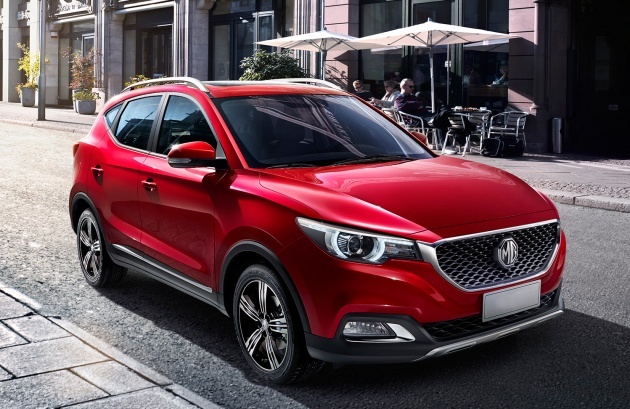 The Chinese carmaker says that the MG XS, unveiled at the London Motor Show, features the latest in driver technology, in-car infotainment and next-generation vehicle design. It also offers a glimpse of the future for “MG’s iconic model range”. The XS, which is called ZS in China, is a Nissan Juke rival and smaller sibling of the MG GS. Two engines and two transmissions (AT and MT) will be on offer when it hits UK dealerships later this year. “The MG XS will be a real game-changer in the compact SUV marketplace. The meaning behind the name is simple – S stands for SUV, X means extra. Featuring state-of-the-art driver technology and innovative design, the new model builds on our growing reputation for capability, performance and quality, positioned at a highly-affordable price – the customer gets extra, for less!” said Matthew Cheyne, head of sales and marketing at MG UK. UK buyers can pre-book test drives, but full specs, trim details and pricing will be announced later in the year. At least the GS, which is on sale in Thailand, had a fairly original design. Mazda to the front, Tucson to the side, ioniq to the rear. Don’t forget the Kia Carnival grille. They really screwed up the English brand with this. But then what’s good is that the brand keeps on living, in China and other countries at least. Proton cars has fairly good road holding compare with those cheaper cars but build quality always a sore point and don’t think it’s going to change in future.